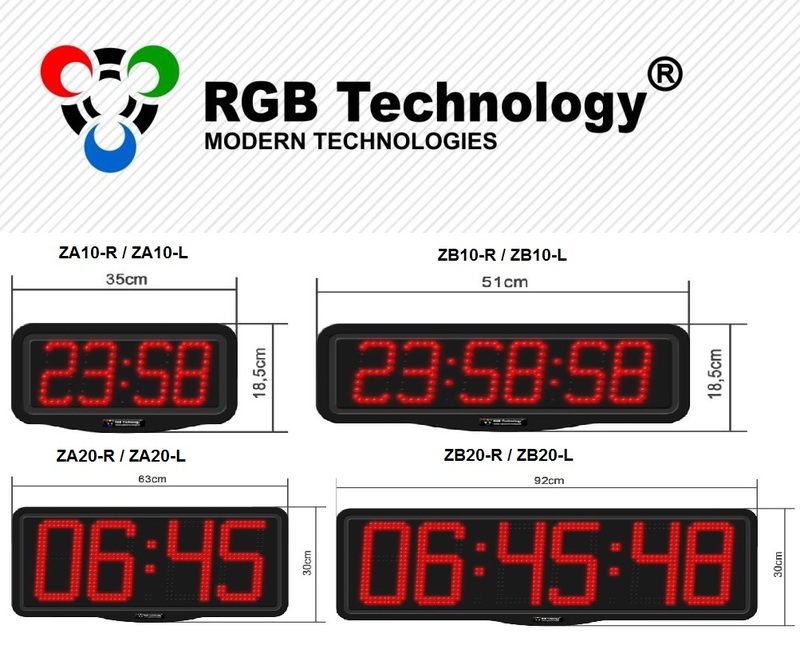 RGB Technology is the leading Polish manufacturer of LED displays. The base of the company and its production plant are situated in Tymień. The company was founded in 2005 as a response to the market demand connected with the development of LED technology for outdoor applications. RGB Technology employs more than 50 people. 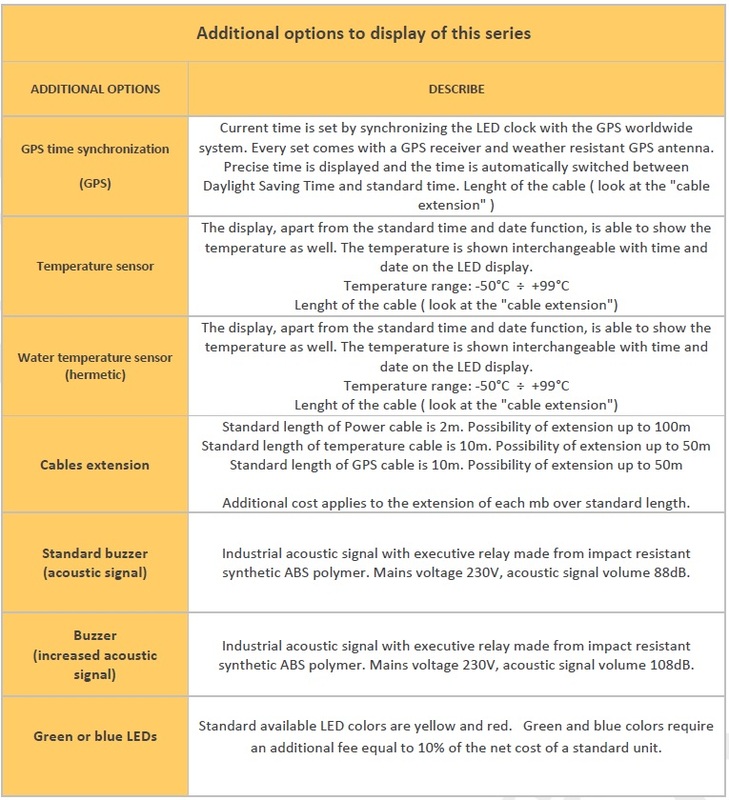 These displays are UNIQUE in that by virtue of their IP66 rating they are perfectly suited to outdoor (full exposure to weather), wash down areas etc. NO waterproof enclosures are required. The dot matrix display while moving away from the common solid 7 segment LED numbers, are perfectly visible in straight sunlight to absolute darkness due to the automatic light sensor selecting a perfect level of brightness allowing absolute visibility at all times. Clocks in this series have a built-in executive relay which signalise max 30 alarms. The duration of the alarm may be set individually – from 1 second up to 59 seconds. – switching between time servers is automatic after detection of inaccuracies in the action or failure. Any clock can be a central clock (clock master) and provide a time source for other clocks in the network as a SNTP server. The Central clock may acquire time from the GPS receiver, other public NTP server or your internal clock. This allows for a closed GPS based master/slave time system.